The Raven’s Nest in Paro, Bhutan is only a 15-minute drive from the airport. 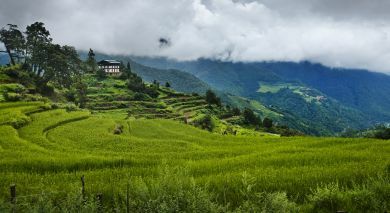 Named after the crown of Bhutan’s Wangchuck Dynasty, visit this hotel for a glimpse into Bhutanese culture and to enjoy décor that is setting new standards. Built from handcrafted stone and Himalayan wood, choose from tastefully furnished rooms offering splendid views of the snow-capped peaks of Paro Valley. 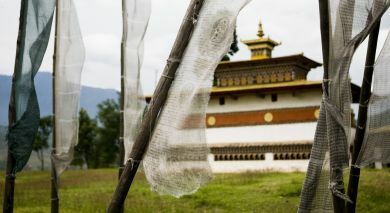 Visit a diverse collection of cultural landmarks and abodes of eminent Buddhist masters nearby. At mealtimes, try the locally grown organic food at the hotel’s restaurant.